Apple is gearing up for a big product announcement on September 9, and all indications are that it will be a new iPhone. 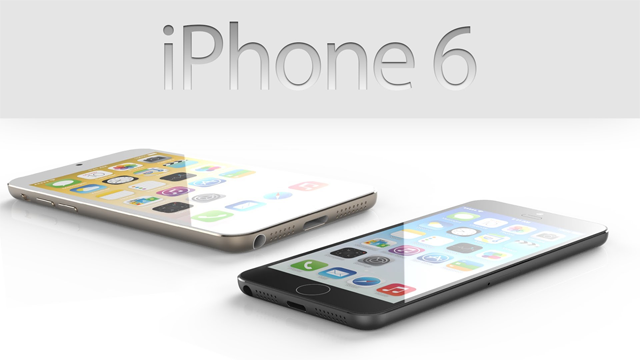 The iPhone 6, as it’s being called in the press, will deliver a lot of changes over the iPhone 5s, which got relatively modest updates compared to the iPhone 5. It’s also one of the most important device launches Apple has ever had, given how long it’s been since the company unveiled a new marquee product. As is generally the case, at this point we have a pretty good idea of what’s coming thanks to the rumor mill, which has been in high gear over the past month or so. Whispers suggest we’ll see a larger screen, with a 4.7-inch model launching first and a 5.5-inch model also being unveiled at the same time, but possibly shipping a bit later or in constrained supply. The large screen and its value to Apple shouldn’t be underestimated. Samsung delivered a commercial recently that attempted to lambaste Apple for having waited so long to deliver a larger display, but in fact it pointed out only that there is now a strong appetite for a larger face on Apple’s smartphone, not that people were eager to jump ship to another device manufacturer in order to get that feature. But the screen size isn’t the whole story – Apple is also expected to use a new material that offers a lot more durability to protect its display. This will likely be some kind of sapphire composite, and based on leaked videos of durability tests, it should be much better able to withstand both shattering and scratching. This would give Apple a considerable advantage over the rest of the market, which finally mostly uses Gorilla Glass, the material it pioneered with its original iPhone but which it now looks ready to leap beyond. Apple’s work on both these things, display size and display durability, speak to some of the most sought-after requests of both existing and would-be iPhone buyers. The company will also likely improve the cameras on its devices, and might finally add NFC into the mix, opening the door for a lot more potential when it comes to mobile payments. Cupertino will deliver all the things that normally encourage their loyal customers and many new ones to jump on board, including improved processor power and performance, but if they can also deliver on some of the fever dreams of iPhone watchers, we’ll see a launch that exceeds any that came before it. The iPhone is currently exhibiting a late-cycle strength that it rarely has before, and anyone who thinks that “just” putting a bigger screen on its flagship device won’t do much to improve its fortunes hasn’t been paying attention – plus, Apple being Apple, they’ll do a lot more besides.